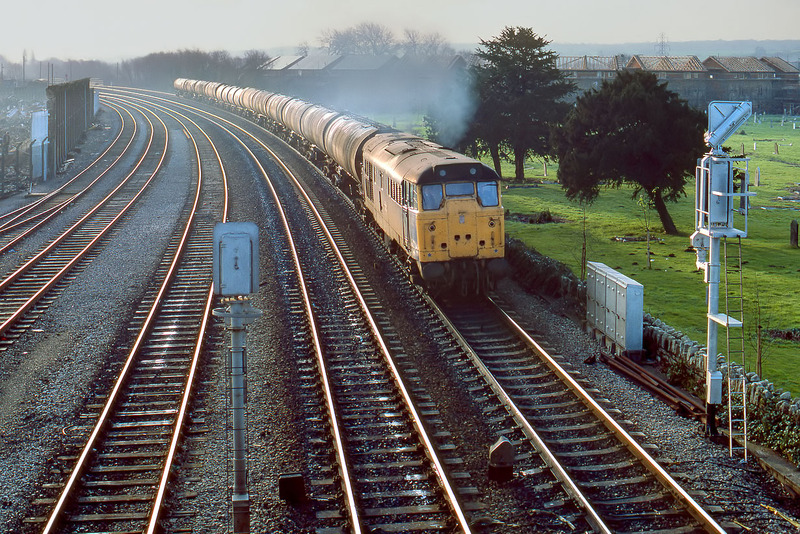 31145 rounds 'Cemetery Curve', on the approach to Oxford station with the as required Littlemore to Stanlow oil empties on 1 December 1983. All is now history. The oil depot at Littlemore (just a short distance down the Morris Cowley branch) is now closed and 31145 has been scrapped. Also this view has changed considerably, and not for the better! Plenty of evidence of change here, with new houses going up in the background. On the left, the former GWR goods shed has just been demolished, although for the time being one wall has been left standing.